This blog post was to be about converting to Mint.com. I’m instead sticking with Microsoft Money. Mint.com’s philosophy, and biggest failure, is low effort. They want a low effort user experience, but they have a low effort technical staff: instead of finding simplified ways of doing complex tasks, they just leave them out! For example, recurring transactions. Microsoft Money has a “bills” feature that tracks and auto-enters my recurring transactions–paychecks, investments, mortgage payment, church donation, utility bills, etc. Sure, this is “complicated” because I must manually schedule these transactions. But it removes complexity because they are pre-entered before my monthly bill-paying session. Mint.com doesn’t have a hint of this. It even lacks logic to suggest recurring transactions–that could have allowed them to simplify an otherwise complex feature. Another is manual transactions. Mint.com is reactive: it only has what it downloads from financial service providers. You can’t enter transactions. That’s a disaster for my checking account. I have no record of a check until it’s deposited! How do you track outstanding checks, including ones that have sat undeposited for months or weeks? How do you know your true available balance? Currently, it must be some other log that you must constantly monitor and update. No way, that’s terribly error-prone! Thanks to Microsoft Money, I don’t bounce checks! 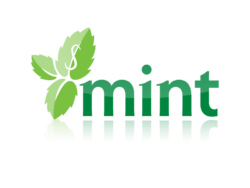 Mint.com, on the other hand, requires a gigantic cash pad, loins girded for overdraft fees, or tricky accounting using other programs. Mint.com is a fail. Its slick user interface redeems it from epic fail. But behind the user interface is a painfully simplistic system. I can appreciate the complexity of the infrastructure needed to support this system, but I cringe at how little it really does for its users. Above, I wrote I am using Microsoft Money “for now.” I don’t know where I’m going. Quicken suffers from a kludgy user interface and Intuit’s anti-consumer business practices. Plus it can’t convert my Money data yet. Rumor has it that Quicken 2010 will have better Microsoft Money import capabilities. I’m still with Microsoft Money for a few more months. You could also try wesabe. I found this blog post because I too cannot believe this is not part of Mint’s core funtionality. I’m a mac user so I have to boot up Parellels to get Money to work but now that Microsoft is officially “drawing down” Money I moved to Quicken Online. 2 weeks later they bought Mint and announced they are drawing down Quicken Online. Yikes! Quicken is accepting “pre-orders” for Quicken for mac 2010 but they have been saying that for years. What are Mac users to do? Buy Quicken for PC and run Parellels? Since mint.com failed so badly, I moved to Quicken 2010 for the PC. I am overall pleased–the product has come a long way since I last checked it, I think in 2005? Thanks for the heads up on retirement of Quicken Online. I had no idea! Close your Mint account. Optionally tell them why in the dialog box. You will be sent a survey link… Follow it and near the end of the survey you can select that you closed your account for this exact reason. You can also tell them to contact you once they correct/add this feature. If they start losing customers, they will start paying attention. Whatever you do, don’t tell them that you’ve moved to using Quicken on your desktop… They won’t care then as that’s likely the whole strategy here in the first place. Agreed 100%. I continue to use Money to this day (even though it’s long since discontinued). Quicken desktop version seems cludgy and does a terrible job with import — but it seems like the only available desktop alternative that’s supported. Online, Mint.com is touted as the best. But not being able to set up upcoming transactions (such as recurring bills) is a show-stopper of gigantic proportions. I also use Money’s cashflow forecasting feature — to make sure the trends are right, or determine if I need to add a bit of padding to the checking account. Less of a show-stopper, but a basic feature nonetheless. If Mint.com added recurring/non-recurring transactions (such as bills), that would make it viable for me. Until that time…. Next Next post: North Korea about to collapse?